Yes, I saw this coming years ago after the book had created so much buzzworthy energy and everyone was reading the book with such glorious, droolworthy anticipation of each chapter. I heard stories that the book had helped several couples rekindle their sparks, so to speak, too. If you remember, I had wondered which beauty brand would create a collaboration with the movie. 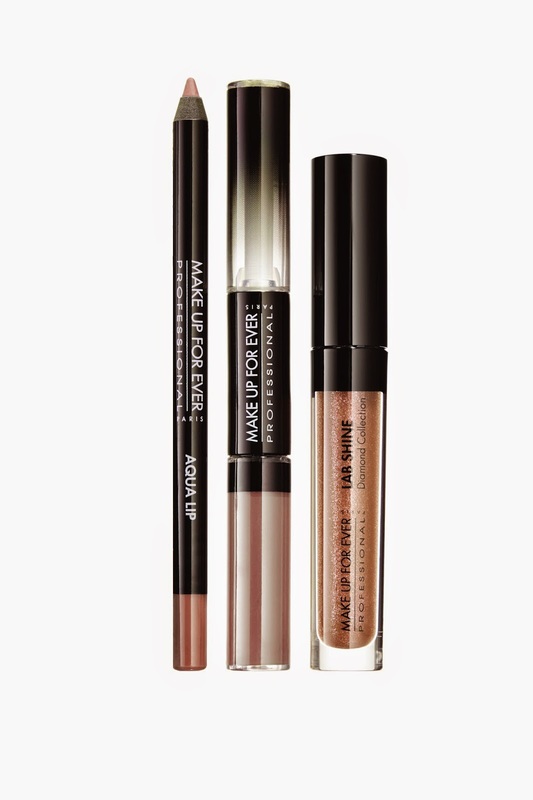 Well, one of my favorites, MAKE UP FOR EVER, is the brand that collaborated with the movie and the products look simply alluring...take a peek below! The first product is the Tease Me lip trios ($32 each) which include a smudge-proof lip liner, a long-wearing lip gloss and a lightly textured lip gloss available in either Innocent or Passionate. Next, a blush trio Desire Me ($49), comes packaged inside a velvet pouch complete with a key and rope tie. 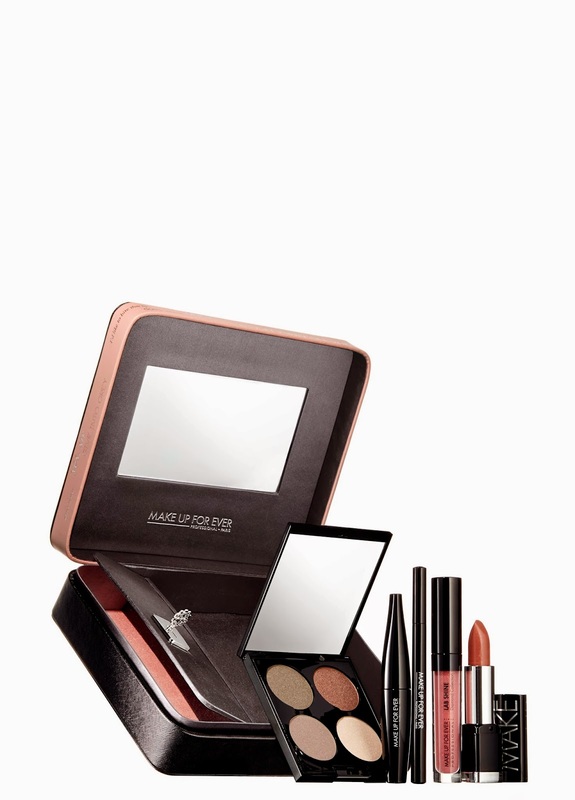 The last product is Give In To Me ($79) and features an eye shadow palette, eyeliner, lipstick and gloss to perfect your sensual look, all packaged within a keepsake box with a hidden compartment. Oh my, what secrets can be left in there?! The collection is set to be released in Sephora stores on December 26th while the movie is set for release on Valentine's Day, 2015. All pictures are courtesy of Make Up For Ever.